For speed in suppressing fires, reducing damages, saving on floor space and allowing visibility, Fike is the clear choice. Our Clean Agent Fire Protection System, using Dupont™ FM-200® as theFM-200 (FE-227ea) Heptafluoropropane CF3CHFCH3extinguishing agent, leaves no residue and doesn't require costly clean-up, unlike sprinklers and other fire protection systems. And it discharges in 10 seconds or less, extinguishing a fire quickly and effectively. Fike's Clean Agent System with FM-200 (also known as HFC-227ea), uses Fike's patented rupture disc valve design offering additional flexibility, effectiveness and speed. That translates into minimal equipment / facility damage and little or no business interruption. Fike's Clean Agent clean agent fire suppression Systems are great in applications ranging from telecommunications and data processing to switch gear rooms, military applications and cell sites to high-tech medical applications. 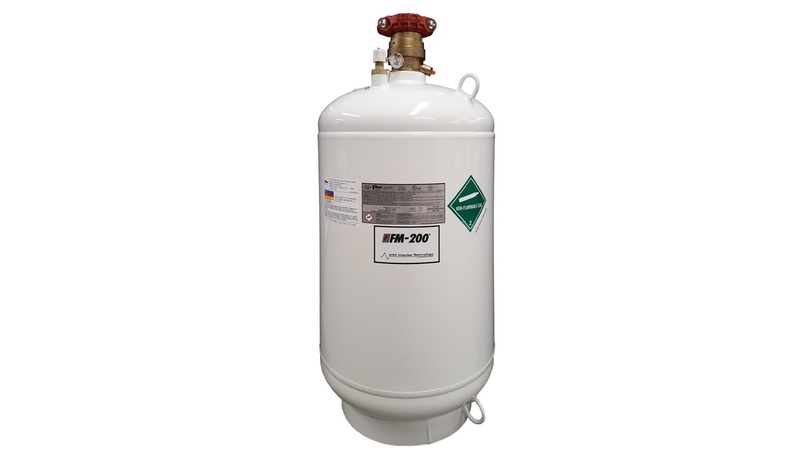 FM-200 clean agent fire suppression is also a widely accepted replacement for Halon 1301. Water-based clean agent fire suppression systems (i.e. sprinklers), are designed to protect people and structures. But, when it comes to protecting high value machinery, computers and other electronic FM-200 (FE-227ea) Heptafluoropropane CF3CHFCH3equipment, water can be more damaging than the fire itself! Gaseous chemical suppression systems (clean agent systems) have been used for more than 40 years to protect electronics and other valuables that are susceptible to the damaging effects of water-based suppression systems. Fike’s Clean Agent Systems are superior to water and dry chemicals in virtually every way: Imagine your company’s valuable data, equipment and systems lost to fire. It happens every day somewhere in the world. And it’s devastating. Even one day lost to fire-related downtime can mean lost revenues, customers and profits. You can’t afford equipment being inoperable ... service interruptions to customers ... or being unable to produce valuable data, documents and resources. You must protect your employees, your business and most importantly, your customers. crashing of an order-processing machine can cost a business thousands of dollars per hour in lost revenue. small data centers. Whether you're a business that depends on a small server rack or a big business that wants to protect critical equipment from fire, the Fireraser clean agent fire protection system is the answer.